When you decide to install solar panels, you might opt for a grid-tied system to extend even more benefit to your new addition. There is great potential to save up your electricity, sell it, and even to have some assistance when your solar panels come up short. However, you have to know how to properly take advantage of this grid-tied system when you have solar panels installed on your home. 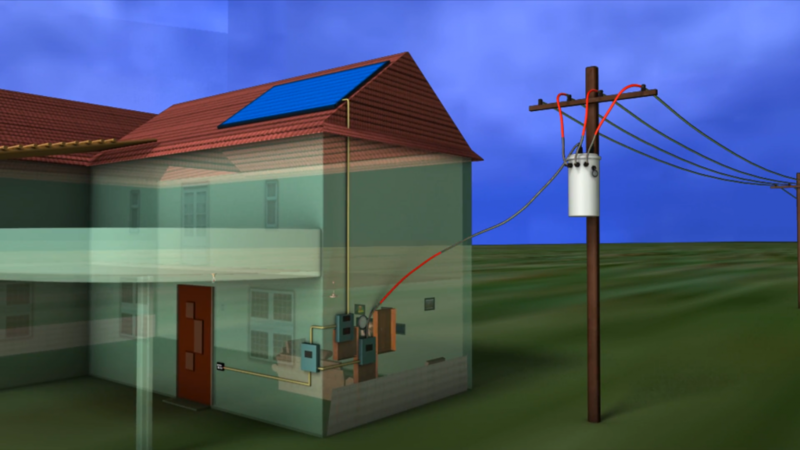 What are the benefits of a grid-tied system with solar panels? Find out why many homeowners choose this method below! Are you hoping to offset the initial cost of installing those solar panels? A grid-tied system is one of the simplest ways for homeowners to start making money based on their investment in solar energy. The excess electricity you generate that doesn’t get used can be sold back to the utility company for real compensation. This allows you to give back to the community and to make excellent use of your solar panels all in one fell swoop. You might have more options to use a grid-tied system during some seasons than others. These savings can be used to offset the cost of electricity you might need to purchase later on in the year when solar energy isn’t quite so plentiful, such as the winter months or the rainy season. Do you ever worry that your solar panels won’t be able to generate enough electricity to actually power your home on a daily basis? If you live in a relatively shady area or you couldn’t manage to place all of the necessary panels on your roof (whether due to space or budget), you won’t have to live in the dark. This is a real fear for many homeowners, and it can cause them to hesitate on installing this clean and renewable source of energy on their property. Even with a fully-capable system, you might still struggle to generate the necessary amount of electricity in the winter months. Summer often provides lots of sunshine and solar energy while winter proves to be a bit more lacking. This can be a serious issue that needs to be faced. Even a solar battery might not be able to store up enough solar energy to support a home in its entirety for the winter season. With a grid-tied system, your home is still connected to the local utility company. You can tap into their never-ending source of electricity for your daily needs, even when the sun doesn’t shine. Most homeowners might not say this is the ideal situation but it does still give them a heavy discount on their previous electricity rates. If you’re ready to see how a grid-tied system with solar panels can lower your home’s energy bills, it’s time to make the change to renewable energy. Powertec offers rooftop solar systems installation that can radically change how your home functions!